Great quick disconnect cable for use with Stainless Steel Indicators that need to be removed from the scale base. A one foot pig-tail and 17 feet on the other side of the 5 pin metal connector. Approximately 18 feet of cable in total. 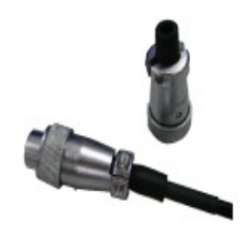 This quick disconnect cable is a great choice for use with Stainless Steel Indicators that might need to be removed or disconnected from the scale base every now and then. A one foot pig-tail and 17 feet on the other side of the 5 pin metal connector. Approximately 18 feet of cable in total.